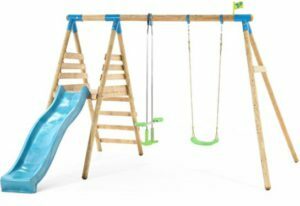 Hello once again and welcome to this TP Alaska Wooden Swing Set review which will also outline a series of frequently asked questions that will be of interest to you before you decide to buy. This review will focus on outlining all the main features that it has to offer plus all the major pros and cons that we have seen that you need to be aware of also before you spend any or your money. Please be aware also that guide prices can only be presented at the time of this review as prices can change from week to week or month to month depending on discount activities so please make sure to view the price checkers provided below to ensure you have the most accurate up to date price information. 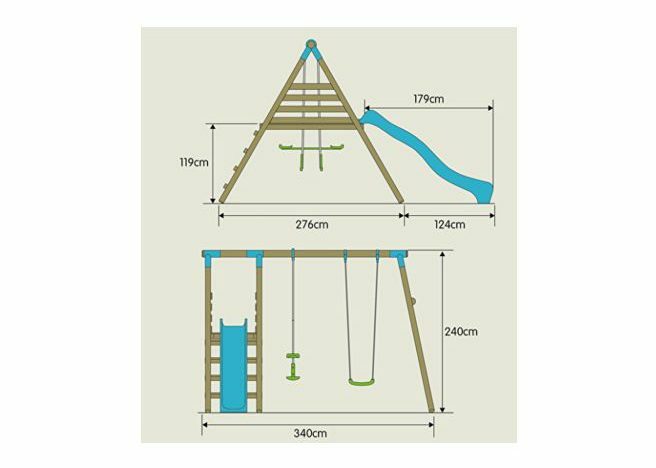 This review will also outline some additional images to give you a better understanding on the dimensions involved for planning in your back-garden yard so by the end of this review, you should have a much better idea if this is the Swing set for you and your children or not. Q. 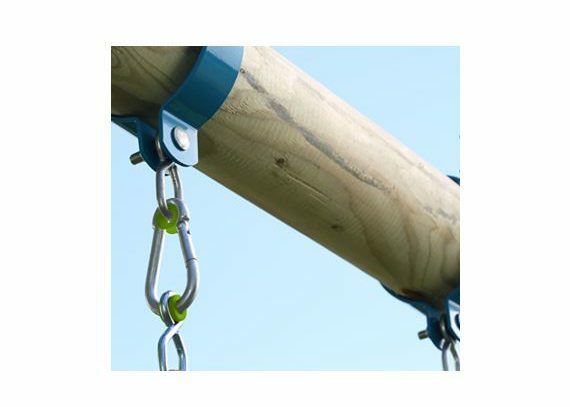 What wood is used for this Wooden swing set? Q. What is the maximum weight capacity? Q. What age group is it suitable for? Q. Can the TP Quadpod toddler seat be added if needed? Q. Does it include ground stakes and does it need to be cemented into the ground? Q. What space is needed for the perimeter of the swing set? A. They recommend a 2 metre clearance available around the frame for safety. 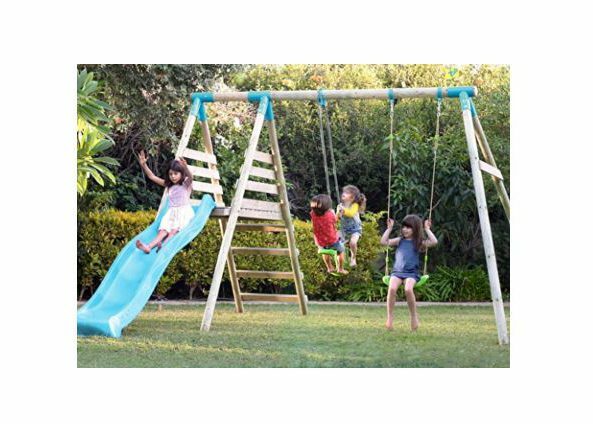 Suitable for children aged 3 to 10 years old and it has a max weight capacity of 60kg on the swing seat and also the slide. 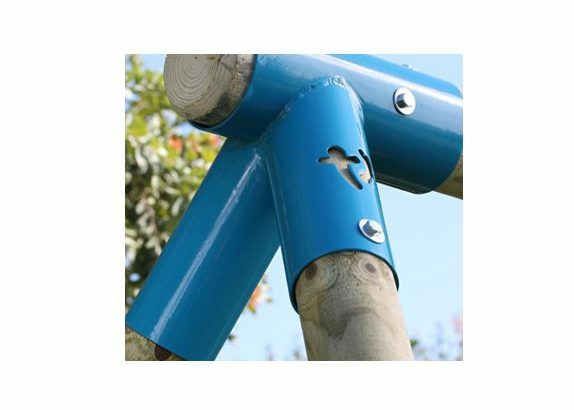 Assembly can be done in 2 to 4 hours which is a lot quicker than many of the larger swing sets on the market. Additional water sealants and wood preservatives will be needed annually as time goes by. 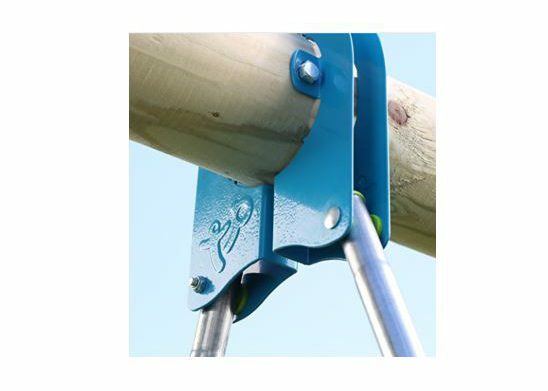 Have you or your kids any personal experience with the TP Alaska Wooden Swing Set and Slide in the past? If so, then please share your thoughts and feedback with the wider community by leaving a comment in the comment section below – So that they can learn also!!! 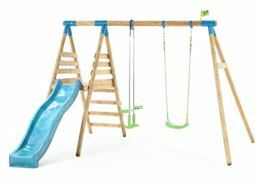 Posted in Swing Set Reviews and tagged TP Alaska, TP Alaska Swing, TP Alaska Swing Set, TP Alaska swing set rating, TP Alaska Swing Set review, TP Wooden Alaska Swing Set, TP Wooden Swing Set.